U Can Store It is the ideal, flexible, secure Storage Gold Coast. You’ll find their premises just off Reedy Creek Road at West Burleigh / Varsity Lakes. 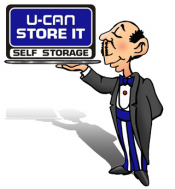 At U Can Store It, you’ll find a great range of short term storage facility areas, with sizes to suit from just a few square meters to serious business commercial storage areas. If you’re needing secure undercover storage for boats cars, mobile homes and heavy vehicles, U Can Store It Storage Gold Coast are the providers of choice in the area. Consider the convenience of Storage Gold Coast. The company is handily located between Broadbeach and Robina/Varsity, so we can service the southern Gold coast, but less than a minute off the M1, giving customers with busy schedules convenient all hours access when they need their vehicles, boat or whatever you have stored. That means customers who live further north or south but want a central location for their vehicles or boats are handy to Storage Gold Coast. Accessing Broadbeach Waters Vehicle Storage solutions is designed to be as convenient as possible for the customer. Simply use the form on the left 24 hours a day, 7 days a week to secure your valuable possessions in a clean, well managed and affordable …..
We look forward to welcoming you at U Can Store It Storage Gold Coast.